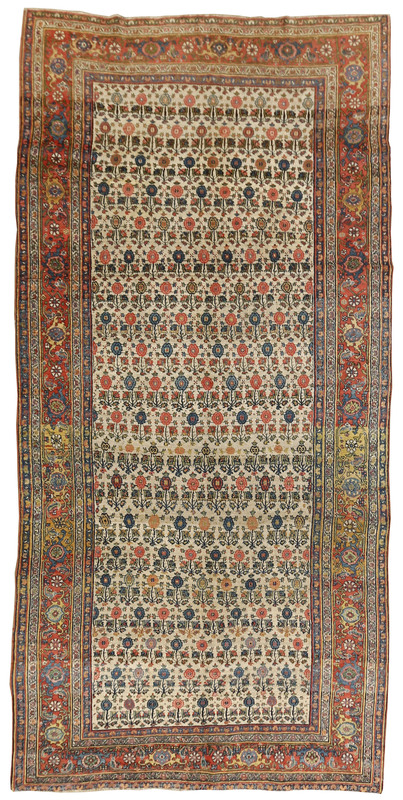 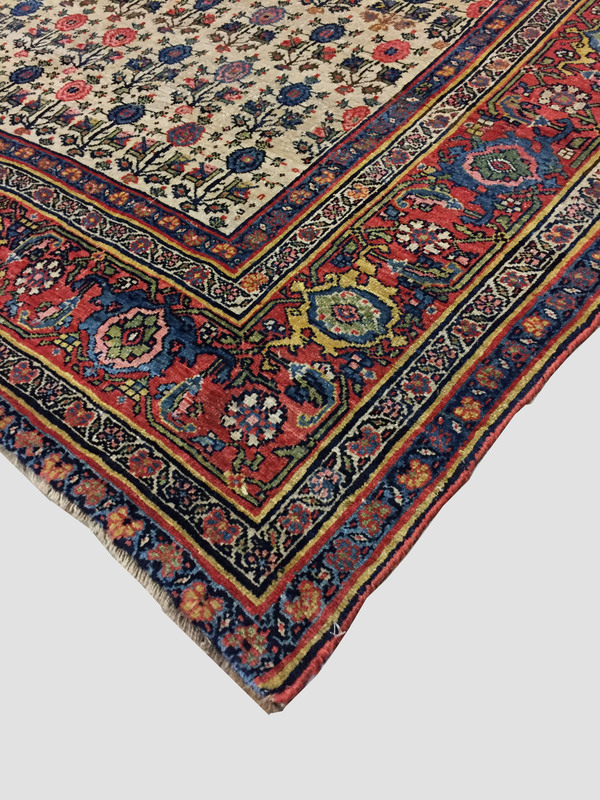 A wonderful Antique circa 1880 Bidjar rug. 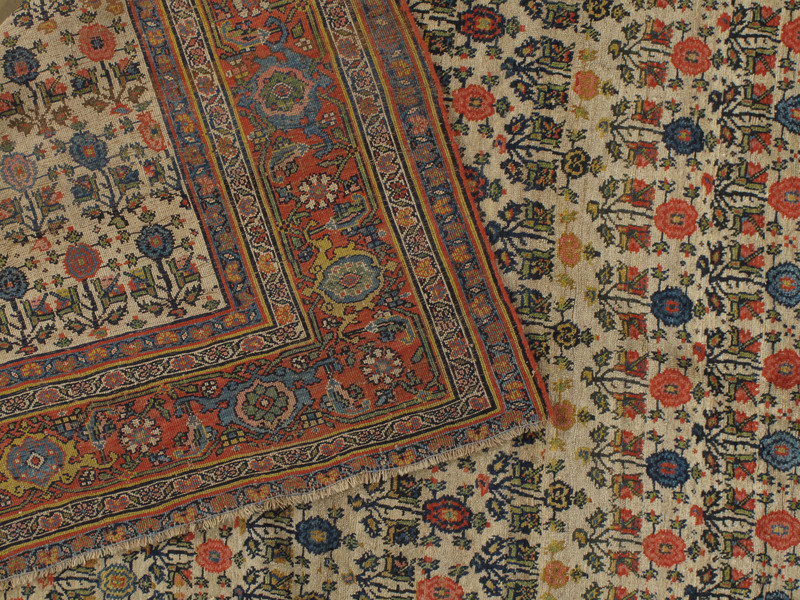 An Ivory ground filled with floral motifs in a vast array of beautiful colors, the detail is amazing. 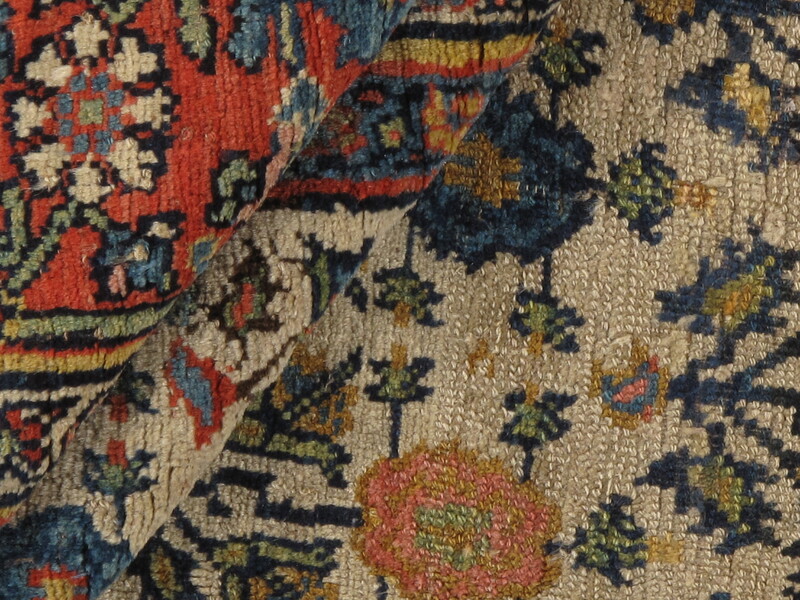 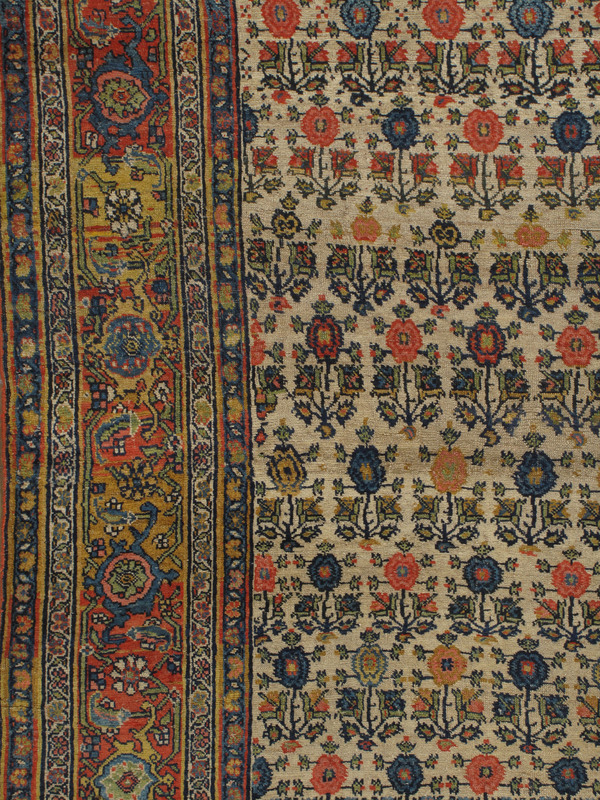 This rug has an Abrash which is a natural change in color that occurs when different dyes are used and gives uniqueness an extra beauty to the rug.